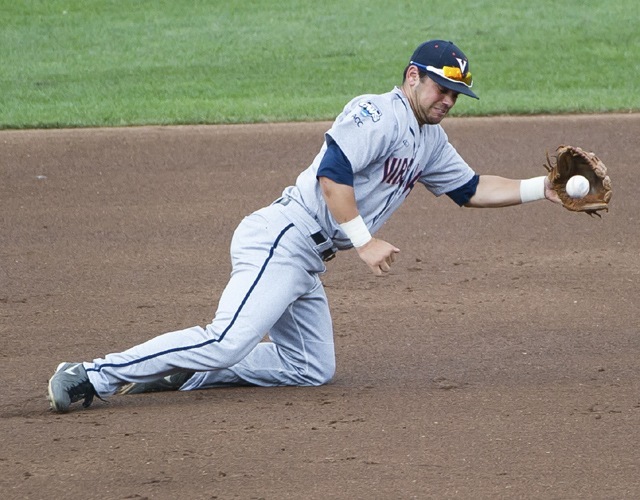 Virginia surgeed back to take Game 2 of the College World Series 7-2 on Tuesday. Brandon Waddell pitched a complete game for the Cavaliers while third baseman Kenny Towns had the hit that drove in the Cavaliers' fifth and sixth runs. On Wednesday, it will be winner-take-all, Virginia vs. Vanderbilt. Who will take the title, the Dores or the Hoos? Kenny Towns recorded his fifth multi-hit game of the season after going 3-for-5 with two RBI. Towns pushed his on-base streak to 25 games with a single in the fourth inning. Towns' single to left field in the seventh allowed Joe McCarthy and Mike Papi to score, boosting Virginia's lead to 6-2. "I thought throughout the game we were getting pretty good swings at [Tyler Beede]," Towns said. "Everyone was seeing the ball pretty well. As the game was going on, he was starting to leave some pitches up, and he gave us some opportunities in the sixth through the ninth inning to be able to execute some plays." Brandon Waddell made his fourth NCAA tournament and second CWS appearance, allowing two runs (one earned) in a complete-game effort. He tossed first career nine-inning complete game (he had a six-inning CG earlier this year against Monmouth that was cut short due to rain). The last complete game tossed in the CWS was on June 19, 2013, by Oregon State's Matt Boyd vs. Indiana. 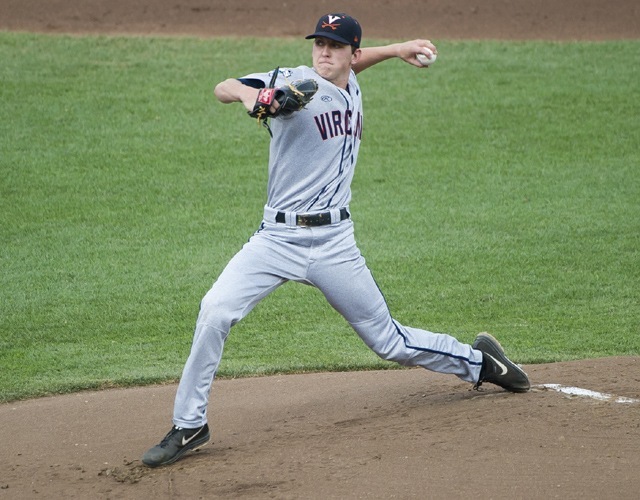 "Waddell was just terrific," UVa. coach Brian O'Connor said. "It seemed like after the first four innings he really settled in, did a terrific job of mixing all of his pitches, kind of keeping their hitters off balance."